Joining a gym in Goldsboro, NC for the first time can get confusing. Here are some pro-tips to help you out with your fitness goals. Going to a gym in Goldsboro, NC and getting into shape may have been one of your New Year’s Resolution this year. February is already over, so it’s time to hurry up and join a gym if you want to finally live up to your resolution. 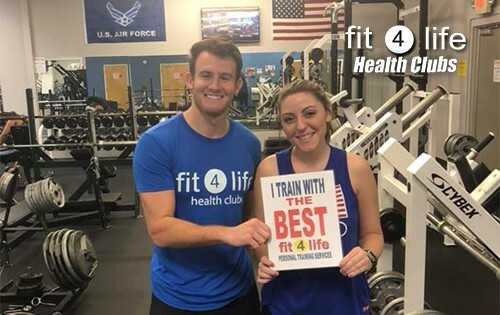 After doing some research for the best, fully-equipped fitness health club in Goldsboro, you find for yourself the right one! Starting to train in a gym can be stressful for most. Especially if it is their first time in a gym. But do not worry, there are personal trainers equipped with tips for all beginners to get them acquainted with this healthy lifestyle! Keep reading to get properly informed and maximize your time at the gym. It’s already March, so join the best gym in Goldsboro now, , before you put off your plans on getting fit to next year. It is important to start slowly at the gym. Start the first day with a number of exercises (three or four). This will not give you too much muscular pain in the first few days and you will recover more effectively during your next workout. This will also prevent you from overload injuries. Follow a beginners’ training program and work slowly to lift heavier weights. There is no shortcut to getting fit. Fitness is a slow, steady, and continuous process. It is not like you go to the gym one day and the next day you wake up as the incredible hulk. Always remember, biceps don’t grow on trees. You have to bust in time and effort before you get the Scott Steiner-esque pumps. You can really see your progress when you know where you’ve started. From the very first day, start maintaining a training diary with all your current statistics. In it, you can notate your weight, the exercises, the series, the repetitions, and the rest that you take during each training. Do you want to evaluate the transformation of your body? 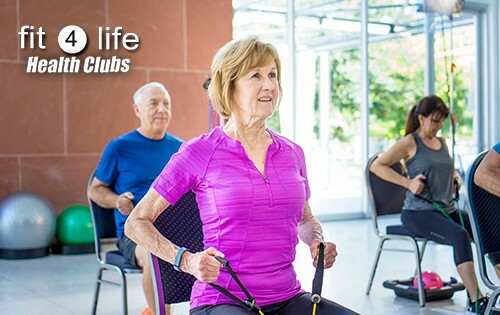 Hire a personal trainer at Fit4Life Health Clubs in Goldsboro, who could guide you to reach your fitness goals in the gym. Get a fitness app so that you can keep abreast of your weight, muscle mass and percentage of fat. The data is on the Basic-Fit application (so you have to download it) where you can see your progress! Fortifying your muscles with the right foods is the most important step you can take after your workout. It is recommended to eat a meal or snack rich in protein after each workout. Do not know how an equipment works? Where are the weights? Ask the trainers for help. If you can afford one, it is highly recommended to hire a personal trainer to experience exponential success in your exercise sessions. Do not forget to bring a bottle of water and a towel. This may seem obvious, but it’s essential for a nice workout at the gym. You can quench your thirst with water and keep the equipment dry, for example, when doing a bench press. If you have not yet started working on your New Year’s Resolution, March is the perfect month to start!